Members of the International Club recently attended the Camden Conference—a conference that this year, shined a light on China’s recent economic, political, and societal changes. 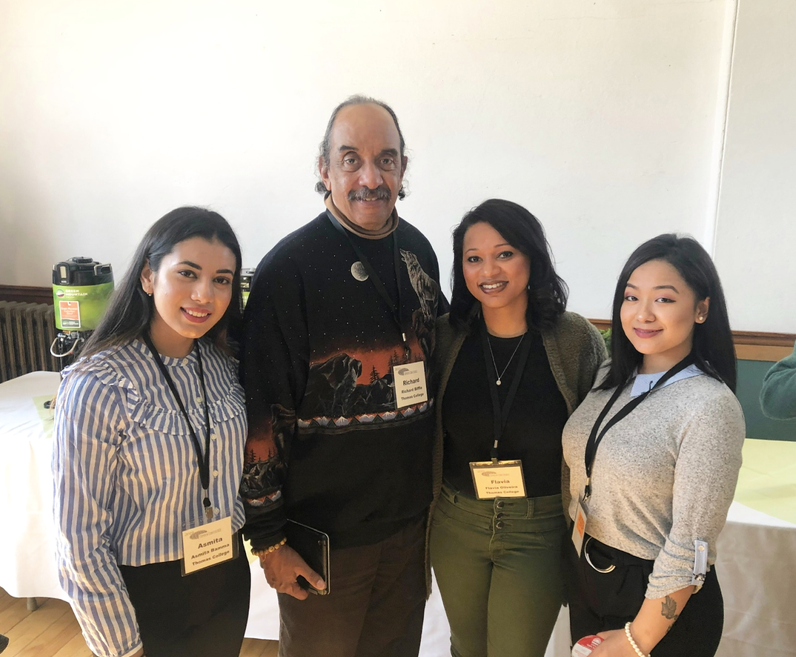 “I did not know anything about the Chinese policies, rules, and norms but after this conference, it gave me a lot of ideas and unanswered questions that I had from before,” said student and Camden Conference attendee Pavana Rai ‘19. “One speaker spoke about how the forms of government can get wronged by the outside view from people [and] she mentioned, ‘Strength lies not in its brute power, but in its flexibility,’ and this will be on my mind forever,” said Pavana. Originally from Kathmandu, Nepal, Pavana says the International Club at Thomas College has given her the opportunity to form a community with other international students. “When I was a freshman, I didn’t know a lot of people around. It helped me to know the community in a more diversified way and even helped me come out of my comfort zone and explore the campus. It gave me a platform of knowing my own culture along with the new ones that came along,” said Pavana. 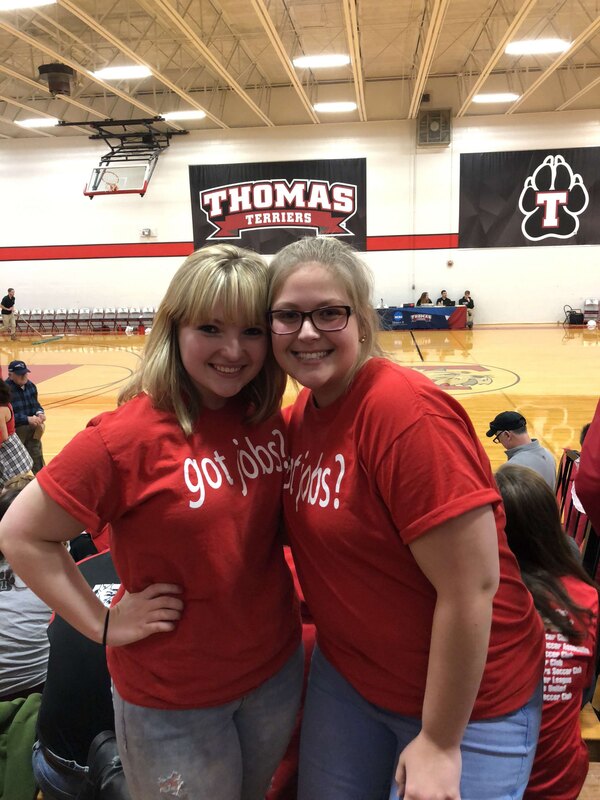 Since entering Thomas College as a freshman in 2016, she has served as the International Club Secretary as well as a member of the club’s marketing committee—striving to make a difference in the community around her. 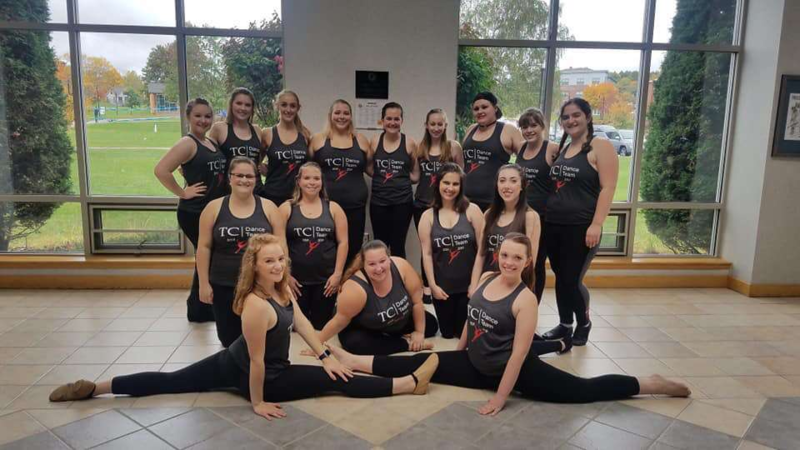 “International club is a home for international students, if you ever need help, feel excluded or have any problems there’s always someone who will make you feel that you are not alone in this and encourage you throughout your journey at Thomas,” said Pavana. 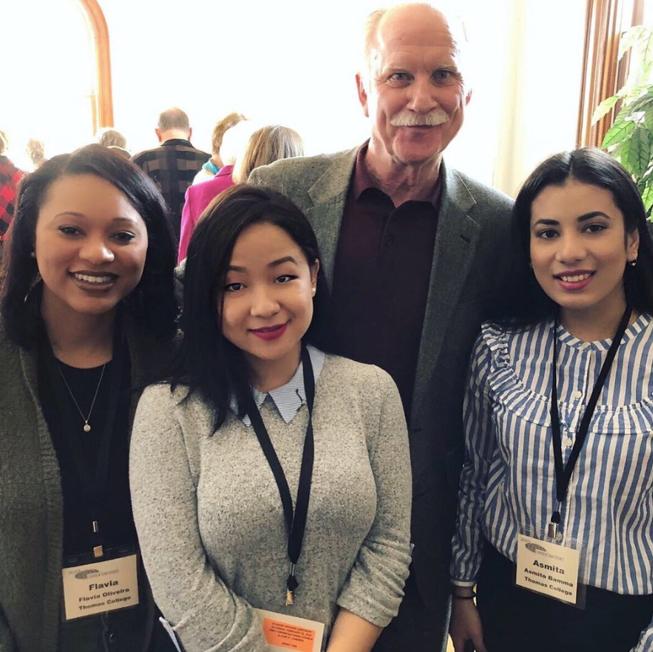 Students Flavia Oliveira, Pavana Rai, and Asmita Bamma pose with CEO Larry Sterrs. Pavana says she is especially thankful for the club’s advisor, Dr. Richard Biffle, for always suporting his students as well as The Unity Foundation’s CEO Larry Sterrs who sponsored the club in attending the Camden Conference.